Vitamin C. It all its diabetic, sugary goodness. I’ve just finished most of my ‘real’ work and a much needed break is needed. Struggling through the tundra like conditions in Melbourne is almost intolerable, and all I can imagine is the grease producing humidity back in Malaysia. One thing that comes in mind is Fres Oren. Andbefore you make your own assumption of a translation that Fres Oren is fresh orange juice. It’s not. It is not just any drink you can find off the shelves of your local supermarket or at a juice bar. This concoction of a drink is a extreme ride. Almost like acid. The effects of consuming this beverage has the boost of Vitamin C, the jolt of Red Bull, and the taste of sweetness comparable to your first kiss. 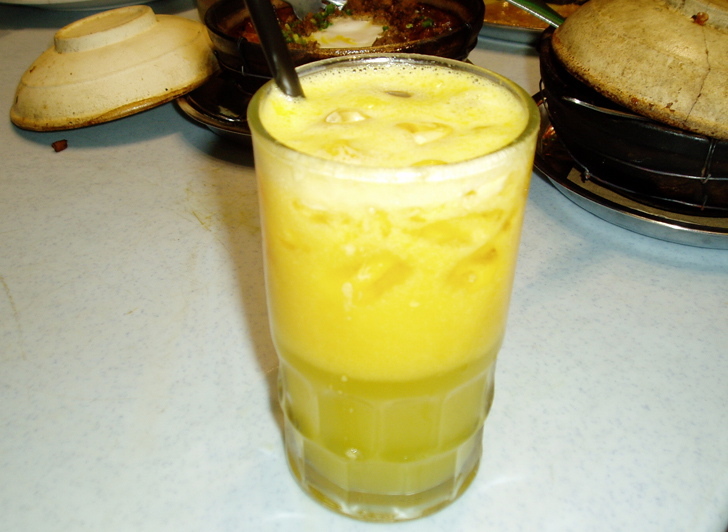 You can find Fres Oren at any restaurant in Malaysia, and if you ask for ‘fresh orange juice’, you’re going to get Fres Oren. If you were to watch a soap drama in Malaysia, look closely at the scenes when the characters are having a meal. They won’t be drinking wine, coke, or Fres Epal (Apple juice). But will confidently, and joyfully choose Fres Oren. (A substitute preference of this drink would be Sirap Ros – Rose Syrup). and ofcourse, a red striped straw to slowly enjoy the sweet,sweet nectar. The savoury feeling of devouring this drink is almost incomprehensible. Its almost like something beautiful happened in your mouth; its like World peace happened between the space between your tongue and the roof of your gums. If you haven’t tried fres Oren, try make it at home. It may not taste as authentic as the one found in wider Malaysia, but if you want a glimpse of total nirvana – Go ahead, quench your thirst. i wana make beautiful man love with u ariff,complete with butterflies&unicorn jumping in the background.